In the world of 3D modeling, large data sets can be an inevitable result of thorough data collection. 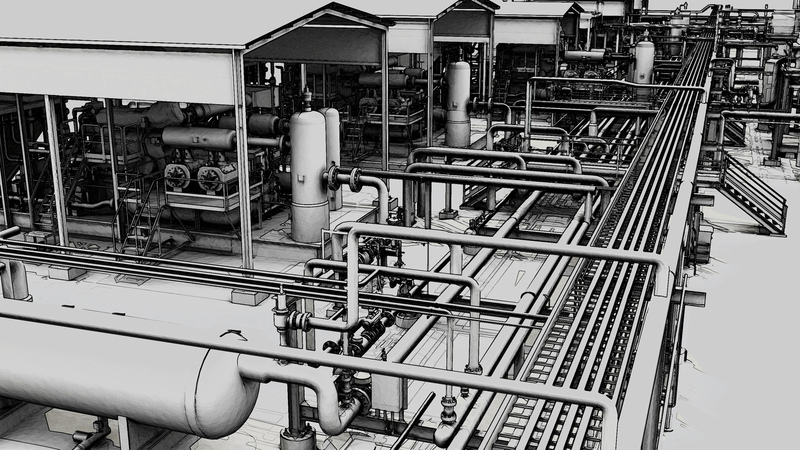 Laser scanning one site can result in hundreds of gigabytes of information, more data than most computers can handle. In order for companies to make the most of this data it must be converted to a format that is easy to handle and understand. A 3D simulation can fulfill this need. These models can be converted to almost any format that your team needs and embedding with useful information to speed up a project. 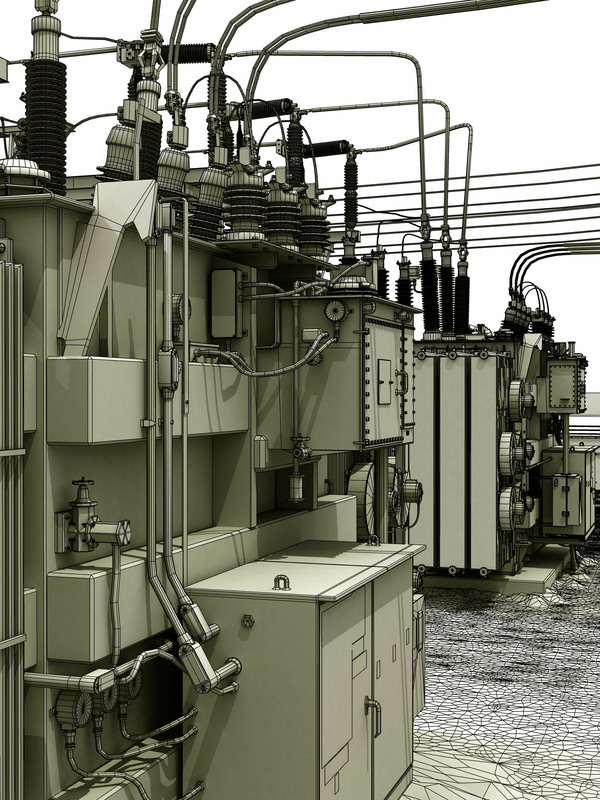 Detailed models can also be created from blueprints, control points or even rough drawings, whatever your needs, it can visualized. Creating 3D digital objects based on the specifications of real world objects embedded with descriptive information is classified as intelligent modeling. This type of modeling is the core of BIM (Building Information Modeling), a fundamentally new organizational type of data basing. It starts out with the core data set which can consist of design plans for a new building or a 3D laser scanning survey of an existing structure. With this core data a set of models can be created to represent a structure in a digital environment, specific information can be embedded into these models that allow different specialists within the structures development and life cycle to have access to the information they require. These data sets will usually have information on its dimensions, materials, service history, manufacturer, age, energy usage, lighting analysis, tracking, space management and any other pertinent information for that particular object. This allows users to quickly locate a component or structural part to view, redesign, update, maintain, log or analyze information. With the advancement and complexity of many industrial systems, getting a new hire up to speed can be a daunting task. But with 3D visualization and simulation an employee can learn a system without ever having to risk harm to anyone or anything. 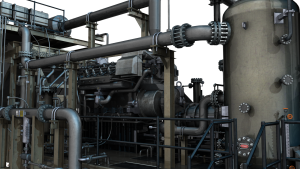 Control systems can be 3D modeled and run in a virtual environment, different scenarios can be programmed to prepare new and experienced users to be ready for any possibility. By using the Unity game engine a virtual training simulator can be created to keep your employees in peak performance. Need to get the attention of a potential client? Have a trade show booth everyone just passes by? 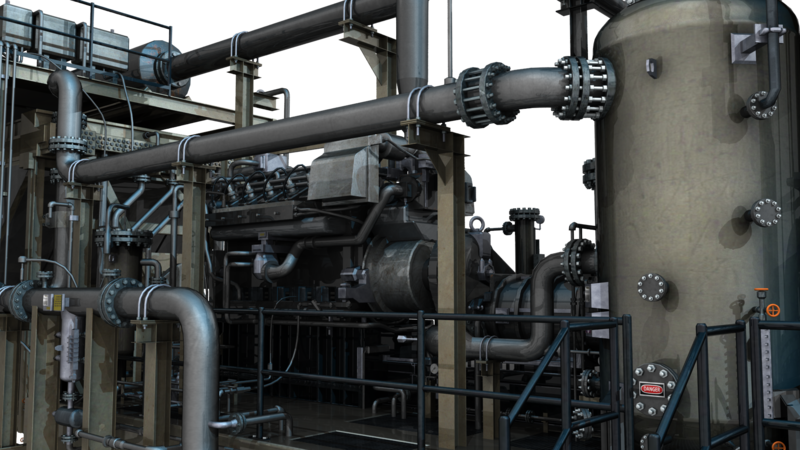 3D modeling and animation, when made with a laser scanning survey, can add excitement to your product and give your sales team the window to deliver your pitch.